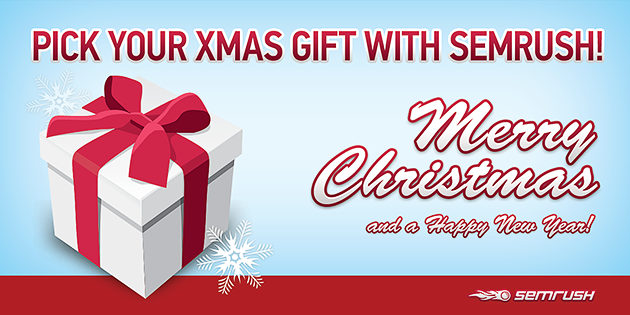 SEMrush gives a Xmas Gift to all of our users! If you are already a Pro customer, you don't need to do anything. Your account limits will be automatically upgraded to Guru level for a month, or to Enterprise level if you're a Guru member! *If your product is not a monthly recurring subscribtion, please contact our Support service. SEMrush Team wishes you a Merry Christmas and a prosperous New Year! You can now watch SEMrush training videos in German, Spanish and French. We have reached 10,000 promo code activations!